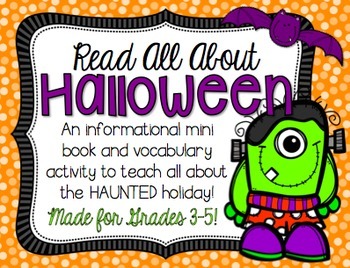 This informational text is perfect for grades 3-5. 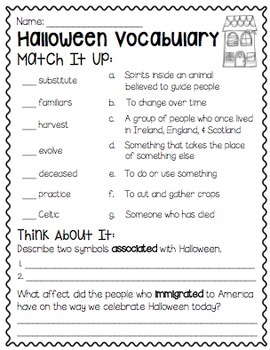 It is a great way to integrate the Halloween season into your daily ELA work. 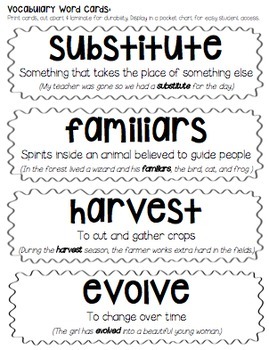 In this product you will find a 7 page mini book with 9 vocabulary words, a vocabulary worksheet, and vocabulary cards. Your students are sure to learn from and love this product thanks to the fun, bright, and clear graphics! 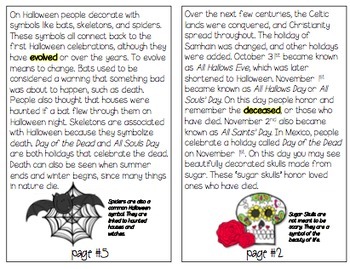 Use as a center, guided reading text, or as a holiday activity. Enjoy!